There were lots of soundtracks of various movies presented on Parallel Realities and they have one thing in common: I have not seen them. 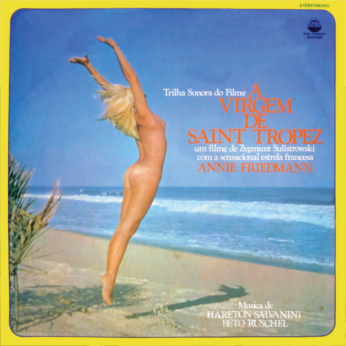 The same goes also for A Virgem de Saint Tropez, which is unusual, as at that time (1974), I went into every cinema that was showing a movie with a poster displaying similar motives as this one. The probable reason i missed it is that it was not distributed in former Yugoslavia.